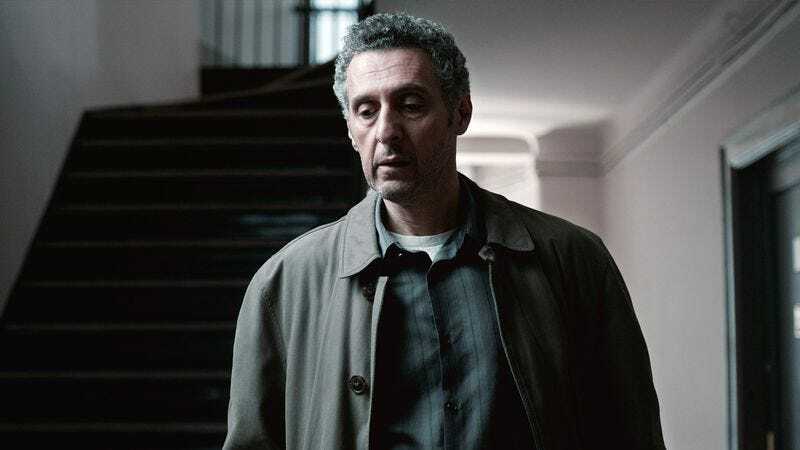 The Night Of offers an often unsatisfying finale... probably on purpose? The Night Of never quite decided what it wanted to be. There’s the part of this show that aimed for verisimilitude, that eschewed normal crime show beats to show how the various aspects of the criminal justice system work. Then there was the part that felt like something more traditional, with the kinds of clever themes and dramatic plot twists that, while potentially worthwhile on their own merit, clashed with the show’s more naturalistic aspects. Sometimes, The Night Of found ways to play around with that tension. Take Box’s subplot tonight. For much of the episode’s running time, the newly retired detective pursues his nagging doubts, realizing at last the massive detail that everyone had missed the first time around: Andrea’s financial adviser Ray Halle also happened to be her gambling addict boyfriend, and there’s all sorts of evidence suggesting that he—not Naz, not the stepfather, not Duane Reade, not the undertaker—was the real culprit all along. 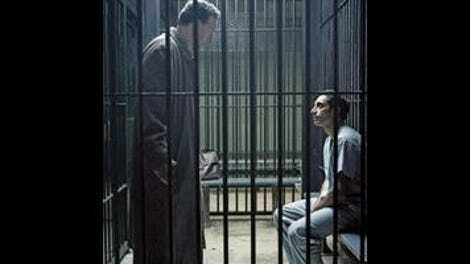 There’s almost shades of Adaptation in how meta this all gets: From the very moment Box walks out on his colleagues talking about what a “real” cop show would be like, he suddenly turns into every bit the tireless, truth-seeking cop you’d expect to find on any half-decent crime procedural. His trip to the casino, complete with a deeply unsettling near-confession from Ray, feels like a particular departure from what we’ve seen so far on The Night Of. And then, after presenting everything he’s found, Helen gives her one-sentence answer: They’ve got more on Naz. With that, Box is done. There’s no big speech about what the justice system exists to do, or how the sudden very real possibility of sending an innocent man to prison means they are compelled to see this through. All that matters is what can be proven—and, by extension, what can be proven at a good enough rate to maintain the credibility of the D.A.’s office—and Helen is pretty sure she can prove Naz is guilty. For her, there’s no percentage in undoing all she has accomplished on the off-chance Ray might be the real killer—or, more to the point, Ray can be convicted as such. Box’s non-response represents The Night Of reasserting itself after a brief foray into fantasy, with his well-timed exit from the courtroom during Helen’s closing statement serving as a well-placed coda. Maybe Box couldn’t get justice, but he had that one last card to play, and who knows? Maybe it helped tip some of the jurors toward that deadlocked non-result. The trouble is that The Night Of doesn’t keep things nearly so clean. For a start, there’s Helen’s offer to Box at the end, that they work together to bring down Ray. In isolation, it’s a rousing moment, but it’s so hard to square that sudden drive for justice with everything else The Night Of has shown us. Surely Stone was right when he said Naz—and Andrea, for that matter—has already been forgotten by the legal system, as there are already plenty more suspects to convict or have plead out. Maybe the high-profile nature of the case incentivizes Helen to try again, but if she couldn’t convict Naz with all the evidence in the world pointed against him—not to mention a legal team that was, uh, let’s say interesting at best—it doesn’t seem like Ray would be a certain conviction either. Weiss has been nothing but pragmatic and quietly competent in her handling of the case, so this sudden shift doesn’t feel well motivated. Perhaps the other part of the problem: Is The Night Of about a system in general, or about these specific characters? Again, the show has played this both ways. Up until that last scene, Box and Weiss felt like they were less important as characters in their own right than they were as representatives of roles in this larger story. Stone, by contrast, has always been afforded special narrative status that puts him at odds with the rest of the ensemble, a point underlined by the fact that the miniseries ends not with Naz but with him. Stone’s closing statement hews the closest to the kind of tropes The Night Of generally prefers to deconstruct or subvert, with Stone overcoming nerves and eczema alike to deliver a rousing, dramatic argument for why the jurors should be able to find reasonable doubt. Now, there’s nothing precisely wrong with switching between tones and storytelling modes. It’s just that much harder to discern what the overall, coherent message of The Night Of is meant to be. When the jury deadlocks at six votes apiece, is that a thematic statement on the impossibility of knowing, that 50-50 split reflecting the larger ambiguity surrounding Naz’s guilt? Or is it nothing so precise, instead functioning as an intentional non-ending, something meant to show how pointless and illogical the system can be? Hell, maybe it’s both! But when The Night Of can be so many different things at once—some great, some flawed, others somewhere in the middle—the whole thing starts to feel mushy. Perhaps Stone’s closing statement is an attempt to have things both ways, as he makes specific reference to all the real-world issues we’ve seen over the last two months—Naz’s transformation in Rikers, the reality of how so few cases go to trial, the police’s rush to judgment—in service of a big, impassioned speech that feels crisper precisely because it’s informed by all those things we’ve been shown. I suspect “The Call Of The Wild” is intended to feel unsatisfying, a mess of loose ends and uncertain futures meant to reflect what happens after people are chewed up by the justice system. But there’s a vanishingly fine line between being masterfully unsatisfying and being straight-up unsatisfying. Chandra’s fate is a particular sore point. While what happens after her and Naz’s kiss discovered might narrowly be considered realistic, the kiss itself feels so damn unlikely, particularly when the show would have needed minimal tweaking to cut out what I guess I’ll call the romance angle and just have Chandra get in trouble for slipping Naz drugs. (Stone even specifically mentioned the trouble that would result if Naz got caught a few episodes back, so this was actually set up fairly well.) It’s one thing for the show to devote too much focus to Stone while being more detached from, say, Box and Weiss. That’s fine. But The Night Of comes perilously close to making Chandra a device, a chess piece needed to get to the mistrial subplot and to give Naz and Stone something to feel conflicted about. This isn’t necessarily a cardinal sin, but The Night Of is already built around the brutal murder of a woman who must inherently be treated like an object thereafter, so it’s hard to cut the show all that much slack for Chandra’s odd fate. Ultimately, “The Call Of The Wild” is fine, and it feels like the necessary end result of a show that was already spinning a few too many plates. It all comes crashing down, and there’s a good chance at least some of that clatter was intentional, but probably not all of it. There are issues specific to this episode: An extended running time does make sense, given the ground left to cover, but 15 minutes is way too long for the post-trial denouement. But mostly this episode encapsulates all that made The Night Of so good and yet so frequently perplexing. This show could have been a transcendently great, naturalistic look at how the justice system works, or it could have been just as great as a more traditional narrative, privileging fine storytelling and immaculate themes over strict realism. Either could have worked brilliantly. Instead, The Night Of tried to be both those things. To its credit, it mostly succeeded. But, good as the show is, it’s not an unqualified success, in part because it never quite explained to the audience just what it was attempting to do. As I said, 15 minutes was too long for the post-trial section, but it actually might have been too short as well. I could see how having more time to see just how things unfold for the characters after the trial could have helped clarify some of the issues I have. I also wouldn’t have minded having more time to spend with Naz as he tries to figure out just what the hell is next for him, and whether he can have any real relationship with his family going forward. I don’t have any big points to make about Naz’s turn on the witness stand, in part because the hung jury makes that whole disaster feel less important somehow—after all, the odds of acquittal went from zero to 50 percent, apparently with only Stone’s closing statement there to make the difference. But my goodness, was that ever a disaster. I also don’t have a whole lot to say about Freddy I haven’t already touched on in previous episodes. Ultimately, Michael K. Williams is a hell of an actor, and he made Freddy feel more nuanced and vital than I suspect the character read as on the page. There was actually a bunch of good Rikers-related stuff tonight, including Naz finding a potential new person to take over smuggling duties, his hearing the exact same speech on the way out that he did on the way in, and Stone remarking he wish Naz had got the neck tattoo on the side the jury wouldn’t see. That just about does it for The Night Of. For all my critiques, this was a very good show and a lot of fun to review. I hope I added something to your experience, and thanks for reading along.